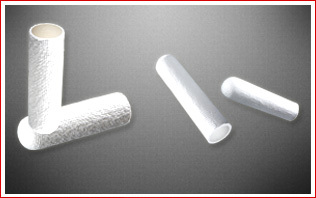 Axiva extraction thimbles are made of seamless noble cellulose and linters of cotton that are completely free from impurities. Axiva glass fiber thimbles are made of 100% borosilicate glass fiber that are 100% free of bonding agent and chemically inert. Gravimetric analysis of dust in gases etc.